Arbordale is available inside the library and at home for CCPL patrons. Watch and play along with video clips on various school related topics. Explore concepts in math, science, social studies, English, art & music, health and technology. Provided by DISCUS - South Carolina's Virtual Library. Biography In Context is built on a foundation of more than 650,000 biographical entries covering international figures from all time periods and areas of study. Providing coverage of the most searched and studied people, Biography In Context includes over 4,500 portal pages on contemporary and historical figures. With OverDrive, you can borrow and enjoy popular e-books and audiobooks for all ages from the CCPL collection. You only need an internet connection and a valid library card to get started. Visit the OverDrive FAQ to learn more. CCPL just launched new reading rooms designed just for Kids and Teens with book selections that cater just to them. Check out the Kids Reading Room or the Teens Reading Room today! OverDrive even has an app for your smartphone, tablet, or ereader that's free to download. Download it, connect to CCPL, and grab new reads anywhere! Libby is the new OverDrive app that users can use to read e-books and listen to audiobooks from CCPL. Download the Libby app. This subscription service’s content is curated by the Charleston County Public Library. The TumbleBook Library is a collection of free interactive animated talking storybooks for children. Stories are available in several languages. 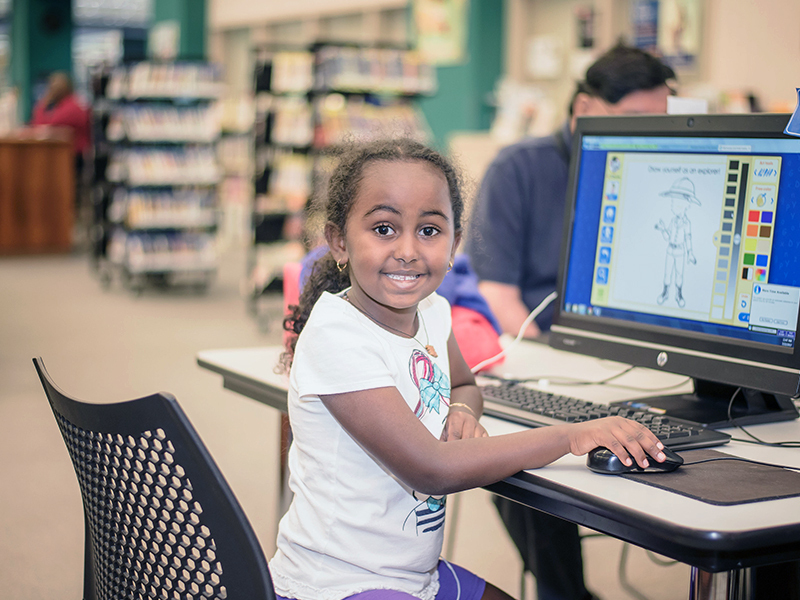 TumbleBooks is available inside the library and at home for CCPL patrons. Kids InfoBits is a content-rich, authoritative, easy-to-use digital resource featuring age-appropriate, reliable, curriculum-related content covering a broad range of educational topics. Kids InfoBits is available inside the library and at home for CCPL patrons. Great Web Sites for Kids (GWS) features links to high-quality websites of interest to children 14 years of age and younger, organized into diverse subject headings such as animals; art; history; literature; sciences; and more. Each site entry includes a brief annotation and a grade-level rating. GWS users can also rate sites, save their favorites for easy access and share sites via social media and email. ABCmouse is only available inside the library. 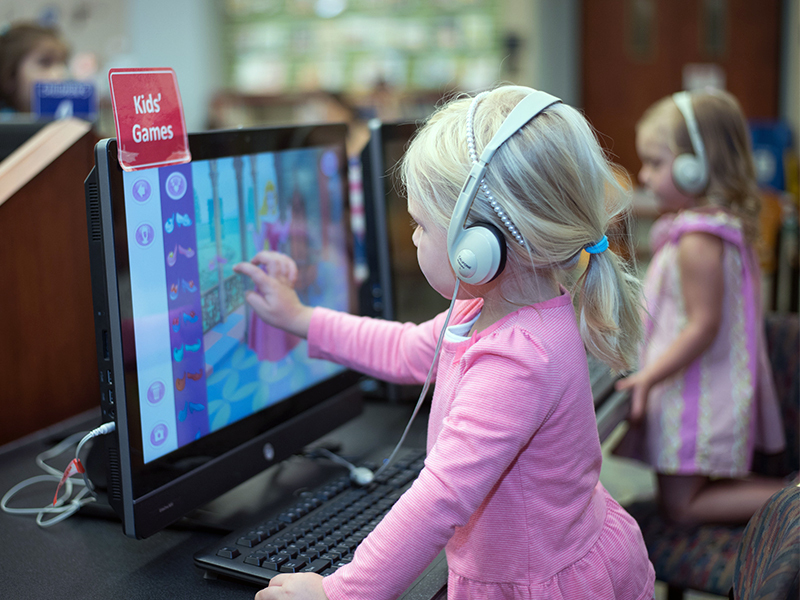 If your child has a favorite educational app or game they can't wait to play during each trip to the library, we can help keep the fun going at home. We've listed and linked to all the apps we use in our libraries, making it easy to download to your computer. The apps are split by age groups. Family and daily life cultural reports of most countries and all the states in the United States and Canadian provinces. hoopla is an online streaming service that offers free access to e-books, comics, audiobooks, music, films & television. To use hoopla, all you need is a valid CCPL library card and a web browser or mobile device. Each user gets 10 downloads per calendar month for the available formats. Unused checkouts do not rollover to the next month. e-books, audiobooks and comics can be checked out for three weeks; music albums can be checked out for one week, and TV shows can be checked out for three days. This subscription service’s content is not curated by the Charleston County Public Library and all selections are made by this vendor.